Silja Chouquetâ€™s (@whydotpharma) and Andrew Spongâ€™s (@andrewspong), initiative to do a tweetup on social media in health care and pharma in Europe, had its second tweetup on August 14th.
. Â By the way, all people interested submit themselves to http://is.gd/2mivy . That â€˜ll give a good overview. For whom can social media improve relations with physicians? Is there a need for by-country Twitter accounts for pharma? Besides a twitter poll was made by Silja on http://twtpoll.com/ejwjm6 fro this issue. It took 13 votes on Is there a need for by-country Twitter accounts for pharma? Yes: 85% (n=11) and no 15% b(n=2). Tactics versus strategy in Social Media, what are the key issues? For whom then, can social media improve relations with physicians? Well, it could be anyone or organisation as long as certain conditions of focus, courtesy and useful information are respected and with sincere and honest intentions to health care and patients, participants state. But next, it looks like a distinction should be made between relationship of â€œpharmaâ€ through social media with physicians and other partiesâ€™ relationships with physicians. Pharma, it is, is dealing with the possible occurrence of (mention of) adverse events. Events that must be reported to authorities like EMEA (http://www.emea.europa.eu). It looks, as one stated, as if pharma is afraid to use social media because of this, while, with a good discussion at the start of the social media project, one can find a solution as to how to tackle the problem. It should not prevent pharma form exploiting social media. Social media are seen as a great chance to pharma. Positive potential use is to be found in encouragement of compliance or to stimulate patients to take their medications into conversations with doctors and â€œDoc2Docâ€ discussions, and so on. Social media can be used to relate pharma to all health care parties: physicians, scientific societies, patients regulatory authorities, etc. It may â€œhumanizeâ€ pharmaâ€™s relations with them, which is a big plus. Social media is to improve relationships of all stakeholders on the health care value chain. It is yet too early to state what definite effects of social media could be to improve patientsâ€™ well being. It does however put pharmaâ€™s promotional efforts in social media in a different perspective. A debate is suggested, as to how social media could create new value chains in health care, open innovation, information therapy, clinical trials, etc. The potential is enormous. The more so, while the impact of social media is still in its early phases. The little use by physicians of the current generation as opposed to the younger ones was specifically discussed. 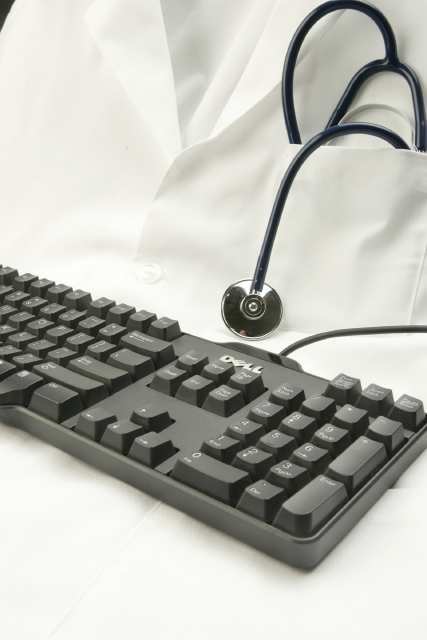 Training and courses should help there, like good examples as http://bit.ly/Lxcya (Will doctors Twitter? ), http://bit.ly/YZid7 (patient â€“ doctors communications) or the communications of doctors and hospitals to consumers. Doctors do use social media sites, but it seems that the pages with the clinical decisions are the most popular, is said. Also, more information is needed as to what is the most successful to what aim? Person to person communications? To Leverage of patientsâ€™ perceptions of their well being, or to medical education? Or, as a nice suggestion: coaching of bed side manners and the use of observations from family and friends of chronic patients.. Mores is to be discussed on this. Like how could doctors give feedback to their patients in privacy..
Organisation and design of the actual use of the (specific) social media are crucial aspects to this. The question is, will social media stay peer-to-peer or will we see conversations cross over from doctors, to patients, to insurances etc. Thus, research and evaluative data are needed too. By-country Twitter Accounts for Pharma companies? Could it be both: countries tapping into particularities and global tweets for institutional tweets, for example? Multiple accounts would be necessary like some pharmaâ€™s are doing, is said. Or perhaps accounts per department, like medical, marketing, or PR,..? Important of course, is how to deal with language and local rulings for pharma communication and websites, perhaps culture and rules of reimbursement too? And how to go about intentions with relationship management to local and global accounts? Maybe local accounts could respond more swift to discussions. And then the organizationsâ€™ policies would be challenged: what would a certain account be allowed to do, and how quick could possible controversies in communications be resolved within the organization? When the intention is to deal with patients, if it be allowed, and support to physicians, language is key. And what effect would that have to the â€œnaÃ¯veâ€ consumer who is searching for brands or company? He surely wants a coordinated and transparent information source, although there is a willingness to read more accounts than one, but that is differentiated (http://bit.ly/iYyjs). Just adaptation of language in global directed accounts does not seem to be effective. It is the great mistake, one says. Economy of scale would not be realized. Experience at one of the companyâ€™s is that local topics lead to thoughts about multi-language tweeting. That needs local expertise, not global. And another experience is with specification of country name in account name. So, the discussion renders the question of navigation of followers to the right twitter accounts. And yes, the design should be gratification driven: one has to offer it in the form, platform, channel, size, and so on, in the way oneâ€™s customers want it. Consistency and transparency over different accounts is needed. Or, the other way around, from departments inside to the twitter channel of the company. Multi channel communication comes to the next level in this way, but still: o so relevant. Is that to be done? Is there any experience? That is a challenge that relates to back-office arrangements and management. But again, advantages to stakeholders do seem worth the effort. Specifically when two way dialogue is concerned. The third topic, Tactics versus strategy in Social Media – ah pity â€“ got relatively less attention, due to the intriguing and highly responded to first two questions. What are the key issues? Indeed Social media are to be a part of strategy, not just tactics. The web is a part of everyoneâ€™s life now. And so, positioning of the company is at stake. For pharma it seems questionable to have just brand and product management decide on tactics. The participating pharma companies proved that in the statements and experience they forwarded1. When pharma looks at the dimension of benefit to the patients, strategy and tactics can coincide, so as to prevent product related and general (company) service aspects to go apart in communicating and relating with stakeholders. Social media have to be considered as equal media alongside the traditional ones. I was impressed by the statement that twitter and social media will revive strategic thinking. The organisation needs to focus on what/why/who and not just web presence. It will thus challenge the organisationâ€™s distinguishing positioning and its very added value to health care. Then, right away, there is the issue of focus: is one just going to use social media, so as to say, yes we do social media, or does one focus the companyâ€™s contribution to specific audiences, diseases, communityâ€™s,Â etc.? Yes, again, we â€œainâ€™t seen nothing yetâ€ I would state, like someone reminded us: â€œPopularizing Social Media nowadays is just like popularizing phone in early 20th centuryâ€. And, see where we are going to! It was great to see, for me at least in review, how quickly, so many aspects came up in such a tweetup. It surely is the benefit over the rather chaotic appearance of the tweets. One has to invest the time to get it out, but it is there. It was rightly so that suggestions were made as to keep the tweet up to just two questions. Further, I see that the subject of â€œSocial mediaâ€ is probably too large a subject in itself. For instance, the third topic was stated in general, pertaining to all instances of social media. But it was highly interpreted as an issue of pharma with social media, due to the foregoing discussion. Maybe this topic could be taken up again another time? Thinking of pharma and social media is one, social media in health care is another one. We have to find ways I think, to differentiate, discuss, design, experiment and investigate social media in Europe, and do so with focus. How to get our thesaurus to the just simply looking them of HCSMEU?